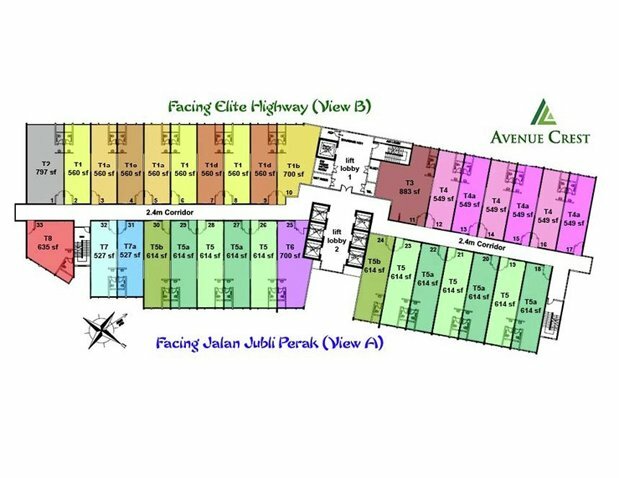 Avenue Crest is easily accessible from five different expressways, including the Federal Highway, the Elite Expressway, the Hicom-Puchong Expressway, the NKVE Expressway as well as the KESAS Expressway. 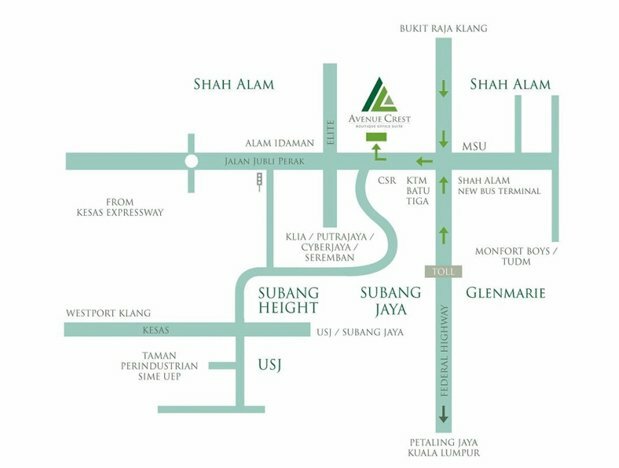 For those who prefers the public transport, Avenue Crest's site is also located just 1.5km from the Batu Tiga KTM Station. 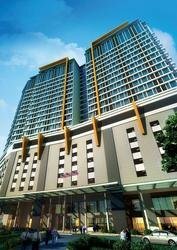 Avenue Crest is ideal for those who prefer a prime location minus the major traffic congestion and overpopulated areas. 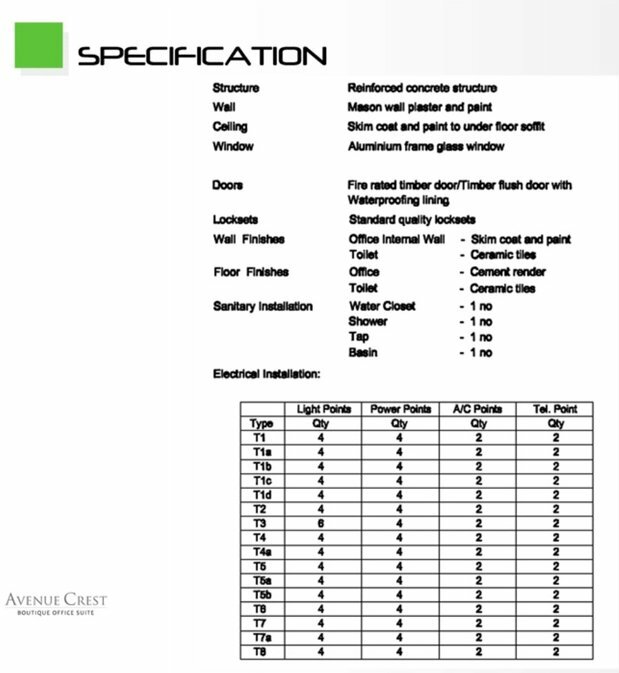 Avenue Crest is available in 8 different design layouts are 495 units of modern and contemporary boutique office suites, ranging from the very affordable 527 sq ft to a maximum of 883 sq ft. These design and sizes are targeted at the new set-ups, professional and consultancy-based offices, logistics businesses and other small-to-mid sized businesses. Give your business a new corporate address and impress your clients and customers with a new corporate look.